Ever come across one of those recipes that is your go-to when you’re asked to make something for a party or event? Yeah. This is one of those dishes. They’re always the first thing gone and they’re pleasantly addictive to pop in your mouth! 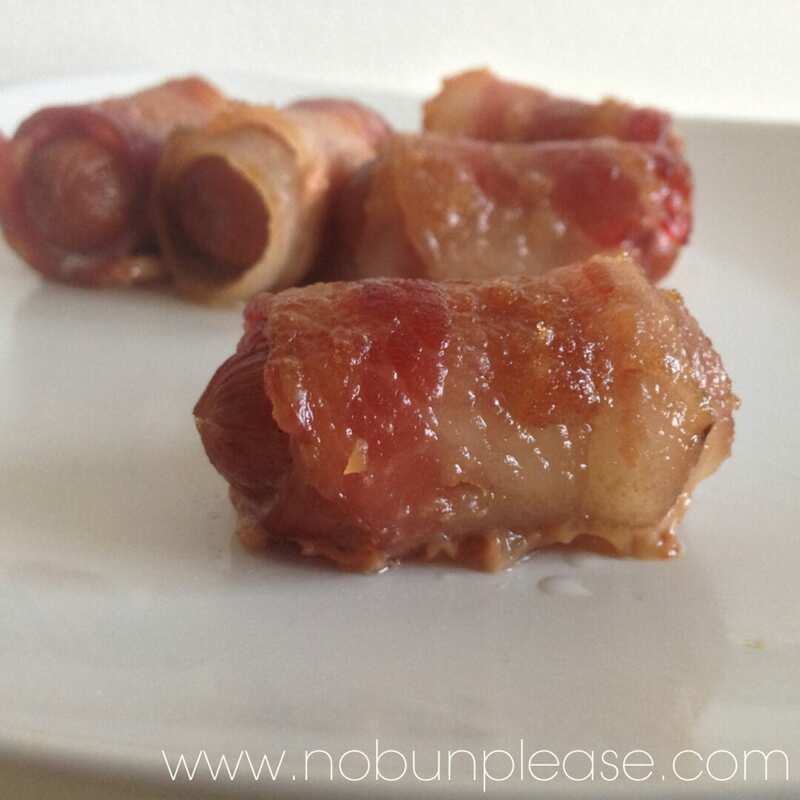 My sister taught me how to make these Keto Candied Bacon Wrapped Sausages after she had made them for a family gathering. Let me tell you – they are simple and so incredibly delicious. Not only do they do amazing things for the taste buds, but they also perfume the entire house like a holiday ham would. I’m instantly transported back to Christmas time with my family and it leaves the biggest grin on my face! I know I’m going to get some sort of feedback on the use of actual sugar over something more natural/artificial as we’re taught to avoid sugars! The amount is almost so minimal that I feel it unnecessary. I will say though, if you aren’t watching your sugar intake or anything, these are even better with a bit more brown sugar. The mixture of bacon fat rendered with the brown sugar creates a delicious, smoky candied bacon. So delicious. If you’re very adamant about not using sugar, I would maybe try a touch of blackstrap molasses or maybe even maple syrup. I’m not sure how sugar free syrups would work in the oven or if they can even “candy” things. Maybe I’ll try that out next! If you want to serve these at a party, I suggest using toothpicks. Be wary of the brand of sausages you buy. I’ve seen some go from 0g of carbs all the way up to 5! The brand that I use is Lil Smokies by Hillshire Farms. Macro/Nutrition: For 3* mini sausages, these come out to roughly 150 calories, 3 carbs, 3 NET carbs, 12 grams of fat, 0 grams of fiber and 9 grams of protein per serving! 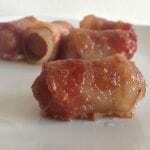 Cut package of bacon in half and wrap each individual smoked sausage in one of the halved strips. Place all of the bacon wrapped sausages in a foiled pan and sprinkles the brown sugar over top of them. Bake for roughly 30 minutes or until the bacon reaches the preferred crispness. Enjoy! These are quite addictive. What appetizer seems to always be a hit at your family gatherings? Comment below!